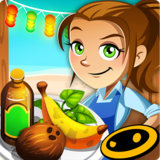 COOKING DASH – Games for Android 2018 – Free download. COOKING DASH – Diner Dash meets reality TV. Have you ever wanted to be one of those celebrity chefs, but felt like the social pressure of having millions of eyes on you would just be too much? Good news! Cooking Dash 2016 for Android will let you live out those dreams without actually becoming a celebrity chef! Flo is a chef that is seeking TV fame as a really awesome celebrity chef. 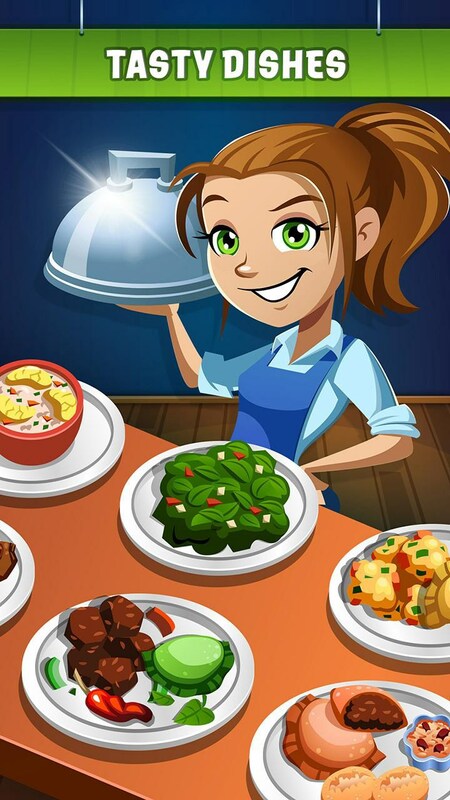 In order to help her go all the way, you’ll need to help her prepare, cook, assemble, and serve up all of the tasty meals you guys cook up. 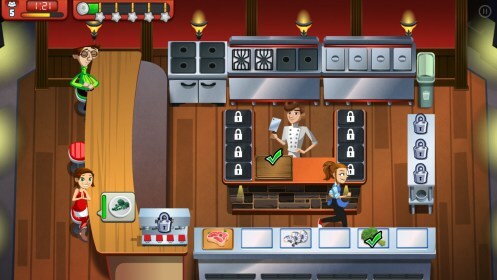 If you’ve played Diner Dash, or any other Dash game, then you’ll instantly be familiar with this one. It’s the same mechanics, art style, and just about everything else. People will come in and place an order. 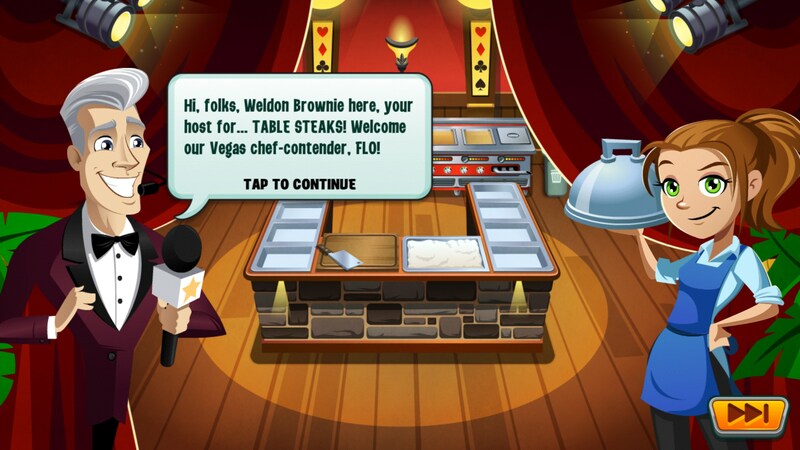 You’ll then assign a series of actions to Flo and watch all of the magic unfold. As you serve people, they’ll leave you a tip, which you’ll use to build up your kitchen. 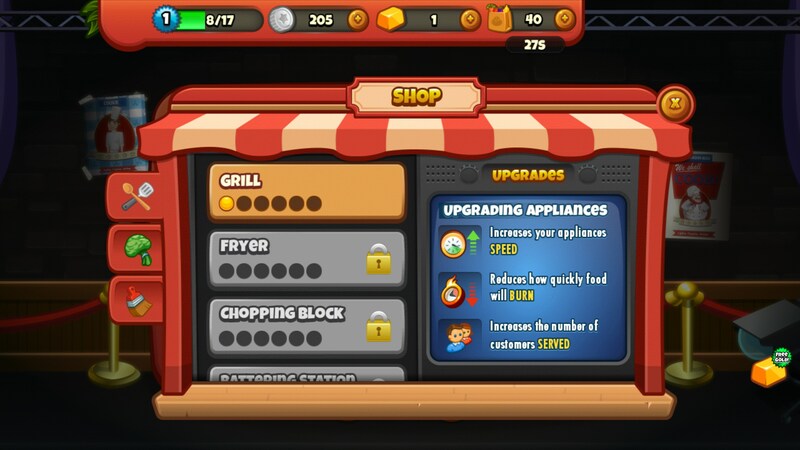 Upgrades are pretty expensive, so you’ll be spending a lot of time waiting to upgrade new stuff. It’s a bit of a bummer, though, because you’re limited to what you can do because of groceries. It takes 10 groceries to play a level, and you earn one bag of groceries every minute. 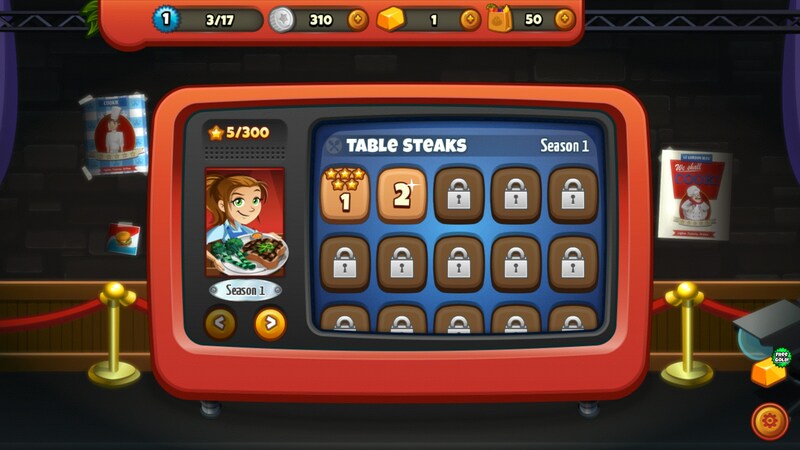 So once you’re out of groceries, you’ll have to wait at least 10 minutes to play again. What? Cooking Dash 2016 is fun and fast-paced. Queuing up actions, serving meals, and sometimes watching the kitchen basically go up in flames because you made a mistake are all just a few reasons why you might not be bothered too much about the groceries.